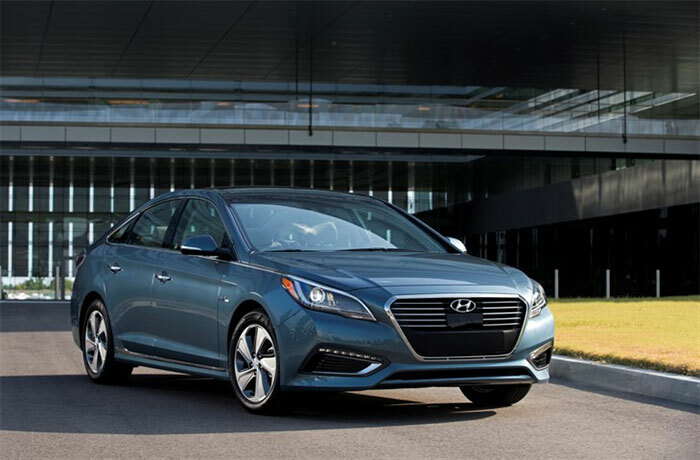 Hyundai has unveiled the new 2016 Sonata plug-in hybrid vehicle. 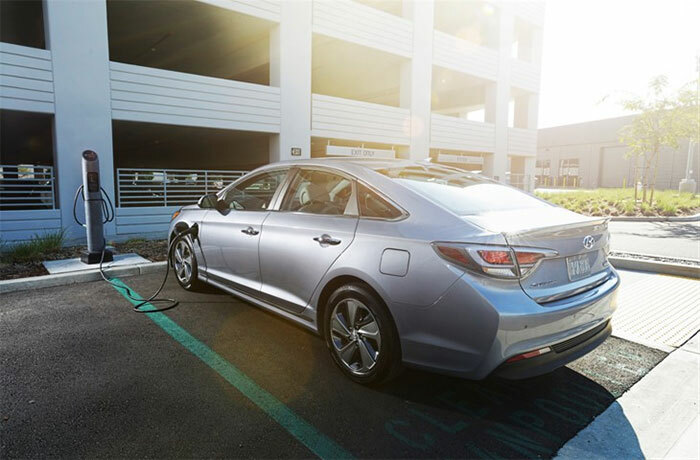 The plug-in version of the Sonata hybrid is able to drive 27-miles on a full charge on battery power alone and a total of 600 miles with the gas engine per tank at 40mpg combined. For many people a full day of driving can be accomplished without using any gas. The big battery system has 9.8 kWh of power and is large enough to qualify buyers for the maximum federal tax benefit. When plugged into a level two-240V charger the battery can be topped off in less than three hours. The 50kW electric motor is paired with a 2.0L Nu four-cylinder engine. That gas engine makes 154hp and 140 lb-ft of torque. When combined with the electric motor total power output is 202hp at 6,000 rpm. The electric motor on the Sonata PHEV is 32% more powerful than the electric motor used on the normal Sonata hybrid. That larger electric motor allows the PHEV Sonata to operate at higher speed and higher engine loads. Pricing for the 2016 PHEV Sonata hybrid starts at $34,600 for the base version and $38,600 for the Limited. The federal tax rebate the car qualifies for is $4,919.